There are many kinds of cases in which a person does not meet his or her professional responsibility, which results in the injury or financial loss of another person. If this occurs as a result of negligence, there is legal action that can be taken against the negligent individual. Our team of personal injury attorneys will work for you in cases of such professional negligence, particularly in regard to the medical field. Right now, we want to focus on the nature of medical malpractice lawsuits that are related to misdiagnosis or the failure to diagnose health conditions. As you are about to find out, these kinds of cases deal with extremely serious matters that cannot be taken lightly. 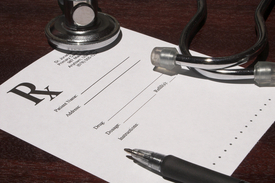 We expect medical professionals to identify health problems and treat them in a timely manner. Doing so reduces the chances of serious health problems later on. Catching problems early means easier treatment and a better health in the long run. If a doctor misses a diagnosis in some way, he or she could be affecting a patient's chance of lasting wellness and even survival. This is not something that patients or their loved ones should take lightly. Our team is here to hold doctors accountable for their mistakes. Misdiagnosis refers to instances in which the wrong condition is diagnosed. Patients will go on to receive treatment for the incorrect medical condition, which is often ineffective for the problem that they are actually experiencing. One example of misdiagnosis that sometimes occurs involves signs of a heart attack. Our medical malpractice attorneys have heard of instances in which warning signs of a heart attack have been diagnosed as regular muscle pain or muscle strain in the pectoral region. If properly diagnosed, a major heart problem could be treated and avoided. Another kind of serious diagnosis issue involves failed diagnosis or delayed diagnosis. In these cases, the sure warning signs of a health problem are there and the doctor does nothing to address it. This allows the health problem to become worse. In some cases, this can prove fatal. One tragic example of delayed diagnosis involves cancer. In the case of oral cancer, persistent dry mouth and sudden sores are two common symptoms that may be warning signs of oral cancer. If this goes unnoticed and untreated, the oral cancer can become much worse, requiring major and often invasive treatment in order to save the patient. During your case, our attorneys will fight tenaciously to ensure that the medical professional is held accountable for all negligent actions. We will strive to prove that the doctor could have done a better job in accordance with their duties and that their failure to act resulted in serious loss and hardship. It is our goal to make sure that you are compensated and that our medical system functions better thanks to legal accountability. For more information about misdiagnosis and delayed diagnosis cases and how our legal team can help you, be sure to contact our White Plains, New York personal injury lawyers today. The entire team looks forward to meeting you in person and helping you achieve the best possible outcomes in a legal case.